← Official Green Light for Tax Filings …..
Today marks a very special day for me as I am honored and flattered to introduce to you a very special new member of our family like organization. You can tell just by looking he’s a smartie..not to mention handsome. 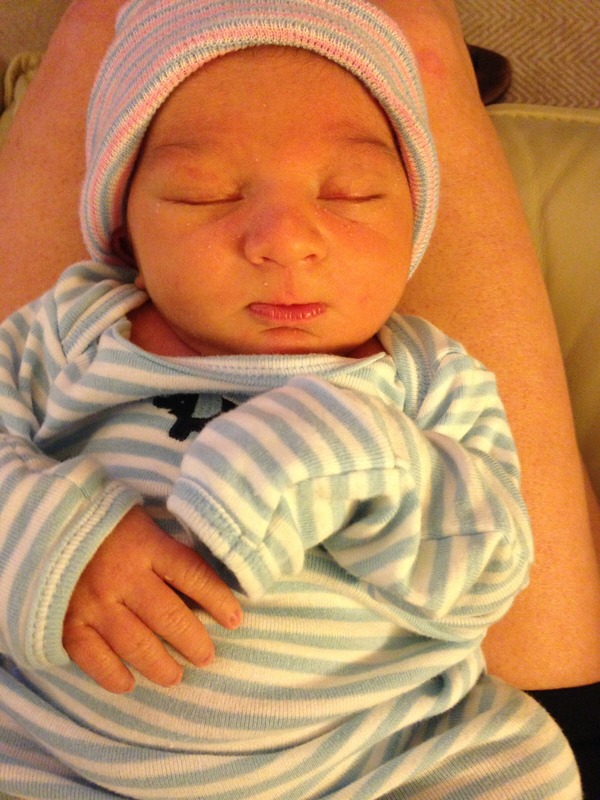 Isaac was born on 3-16-14, happy, healthy, and wonderful. We kept this under wrap (pardon the pun) for Mom and “The Brain. aka Donald” …. to give the parents an extra break from work. Thanks to all for the well wishes and concern ! Doubt it’s even necessary to mention today is a Friday after that announcement … and remind everyone to spend time with those special in their lives ?? Enjoy mom and dad…it goes fast ! This entry was posted in Donald Capone, Personal and tagged Isaac William Capone. Bookmark the permalink.